Our company offers to take advantage of the daily all-inclusive service, which includes the basic cleaning (before/after work time) and supporting cleaning (during the work time). The basic cleaning of the premises allows your employees to start working in a purely cleaned room, and the supporting cleaning will help to quickly solve the minor problems that arose during the day whether it’s a spilled coffee or the need to quickly prepare the office for the next meeting. Acquisition of detergents, equipment and other consumable materials, as well as clothing. Cleaning of floor coverings by vacuum cleaner. - dry cleaning of floor and table lamps, etc. 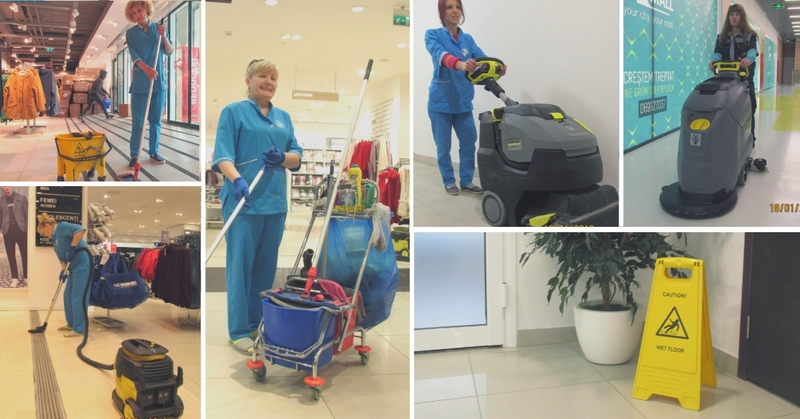 Our company also carries out single general cleaning of any commercial immovable property.